I am a little disappointed in what is shown, although they are early stages and the game will change in the face of the final product. The designs of the pokemons are beautiful, in that there is no doubt, but they are more caricaturized than ever, something that has happened with the aesthetics since the 5th gene, behind were the most realistic animal designs of Ken Sugimori What is shown in the trailer is basically a USUM pokemon but with higher resolution. We return to the random capture mechanics and without pokemon that follow you. Something that I think is a throwback, after what is shown in pokemon lets go Pikachu - Eevee. the design of the trainer is quite bland, the charismatic designs of the first 6th gen were left behind to become a customizable anime-style generic avatar (which is not a mpg rpg to justify it). the games lately are more automatic than ever (like pokemon quest) I only hope that the cinemactias can skip, because in SM, they made me heavy and slow. As for the region, it seems interesting, the scenarios are fine, I liked them. and the rumors that now the pokemon will have armor can be an interesting and fun concept as it was the mega evolution in its day or the alola variants in the 7th generation. what is clear is that the game will not be polished, since the generation 6 games require patches, unfortunately this game will not be the exception. and as a collector, I regret that there is no national pokedex. something that they also removed from the sixth generation. Tap pay poke bank. Honestly I would be more excited about a Pokemon Lets go Jhoto or with Remakes Pearl / Diamond, but I will buy it out, I like pokemon since its launch in the late 90s This may not happen but now that the online is paid and the pokemon for its style of play will not have saved in the cloud, could include the free pokebank with the menbresia online. I am a little disappointed in what is shown, although they are early stages and the game will change in the face of the final product. The designs of the pokemons are beautiful, in that there is no doubt, but they are more caricaturized than ever, something that has happened with the aesthetics since the 5th gene, behind were the most realistic animal designs of Ken Sugimori What is shown in the trailer is basically a USUM pokemon but with higher resolution. We return to the random capture mechanics and without pokemon that follow you. Something that I think is a throwback, after what is shown in pokemon lets go Pikachu - Eevee. the design of the trainer is quite bland, the charismatic designs of the first 6th gen were left behind to become a customizable anime-style generic avatar (which is not a mpg rpg to justify it). the games lately are more automatic than ever (like pokemon quest) I only hope that the cinemactias can skip, because in SM, they made me heavy and slow. As for the region, it seems interesting, the scenarios are fine, I liked them. and the rumors that now the pokemon will have armor can be an interesting and fun concept as it was the mega evolution in its day or the alola variants in the 7th generation. what is clear is that the game will not be polished, since the generation 6 games require patches, unfortunately this game will not be the exception. and as a collector, I regret that there is no national pokedex. something that they also removed from the sixth generation. Tap pay poke bank. Honestly I would be more excited about a Pokemon Lets go Jhoto or with Remakes Pearl / Diamond, but I will buy it out, I like pokemon since its launch in the late 90s This may not happen but now that the online is paid and the pokemon for its style of play will not have saved in the cloud, could include the free pokebank with the menbresia online. Pokewalker and pocket pikachu 1 & 2 roms? Pokémon Mystery Dungeon (WiiWare) Fan translation? Is it possible to play in a wii USA modified to the Japanese pokemon ranch plus the update? There is no possibility to translate the Japanese game and make it compatible with American games? 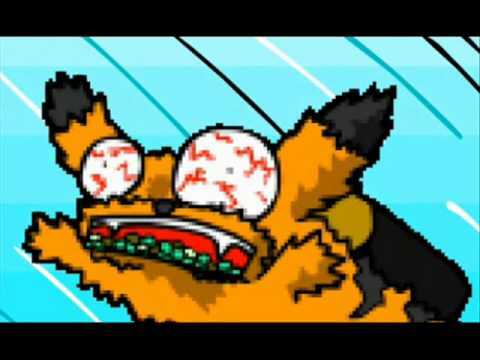 Is Japanese pokemon ranch compatible only with Japanese games? Wii - Pokemon Rumble/Pokemon Rumble U save editor? Is it possible to create a page similar to the official one and that works as a private server to emulate the mini games of the pokemon dreamworld? or it will be impossible, not for the technical, but also for the legal aspect with gamefreak? Is there any way to access Wi-Fi Plaza with the original console or with an emulator? I would add pokemon safari zone and pokemon dream radar game. I already accept you, my name is ultramoon, yours in the game what is your name?